This is the final call for Coffee Masters – London 2019 applications! With only one week left to get your application in, we can now reveal our expert line-up of Judges and MCs…. and what a line up it is. On 15th February, the portal closes and the final 20 competitors will be chosen. 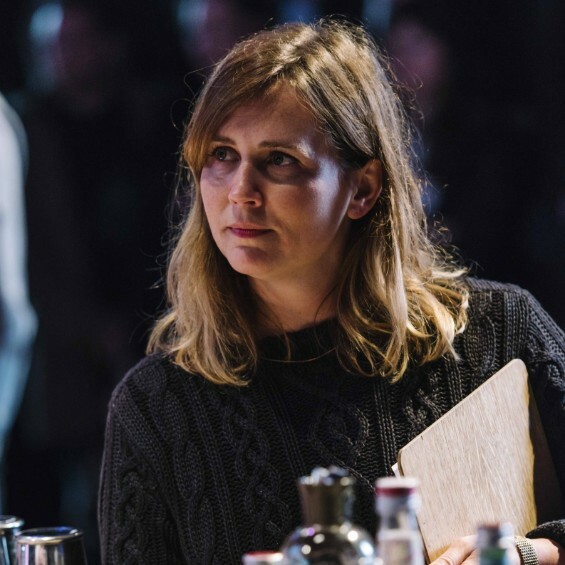 These baristas will proceed to the live rounds to battle through four days of high-octane competition for the title of Coffee Master – London 2019 and £5,000. Do you have incredible skill, talent, knowledge and showmanship behind the coffee bar? Or do you know a barista worthy of the Coffee Masters stage? With only 7 days until applications close, now is the time to register your interest. 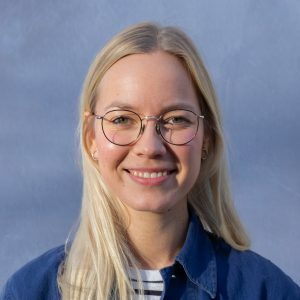 Coffee Masters Head Judge Anne Lunell is a Swedish Barista Champion, Brewers Cup Champion and the visionary behind Koppi, an internationally respected and well-loved coffee roaster in the Swedish town of Helsingborg, which she founded in 2007 with Charles Nystrand. 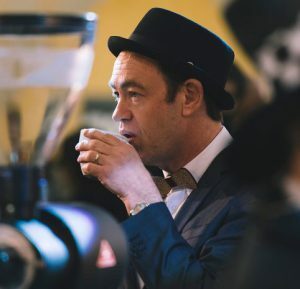 Having been Head Judge of Coffee Masters – New York and London since their inception, there’s no one more up to scratch on what it takes to be a Coffee Masters champion. New York native Kris is co-founder of Five Elephant Coffee Roastery & Cake Shop in Berlin. He works there as CEO and Green Buyer, focusing on ethical and responsible practices and direct sourcing of quality coffee. As the director of Five Elephant Coffee he has been closely involved with staff competitions, participating in the training of numerous National Brewing and Barista Championship wins so knows a thing or two about the competition circuit. David’s Cape Town based café, Truth Coffee, has been named the best in the world by countless newspapers. He believes in results, individuality and playing on people’s strengths. The one thing he hates? Excuses. With 10 years’ experience working in the coffee business, Agnieszka has had a varied and colourful career. 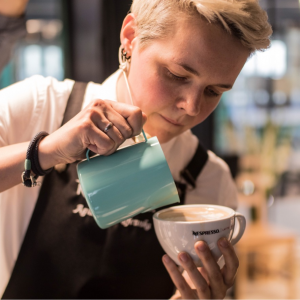 Agnieska is also no stranger to competitions and last year was crowned Coffee Master – London 2018 Winner and World Barista Champion so knows exactly what it takes to be able to take home the title. Mikaela Gervard has been brewing at The Coffee Collective for half a decade. Currently she’s found in their HQ focusing on building thriving teams and a healthy workplace. She’s a two time Finnish Brewers Cup champion; placing 2nd in WBrC 2016. 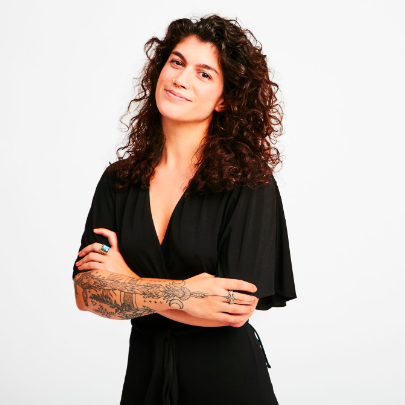 She’s not a stranger to the judge’s stool and has been judging Coffee Masters, The Barista League, Aeropress, Brewers cup and local latte art competitions. Starting as a barista in London in 2001, Klaus Thomsen has since then become deeply involved in coffee. 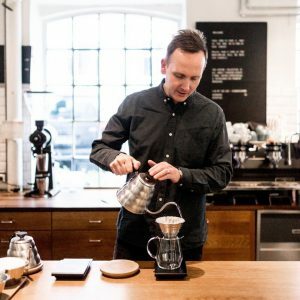 In 2006 he became the World Barista Champion and then went on to co-found The Coffee Collective with Peter Dupont and Casper Engel Rasmussen. The Coffee Collective is a microroastery, four coffee shops and importer of green coffee – aiming to set the bar high for transparency and payments directly to farmers. 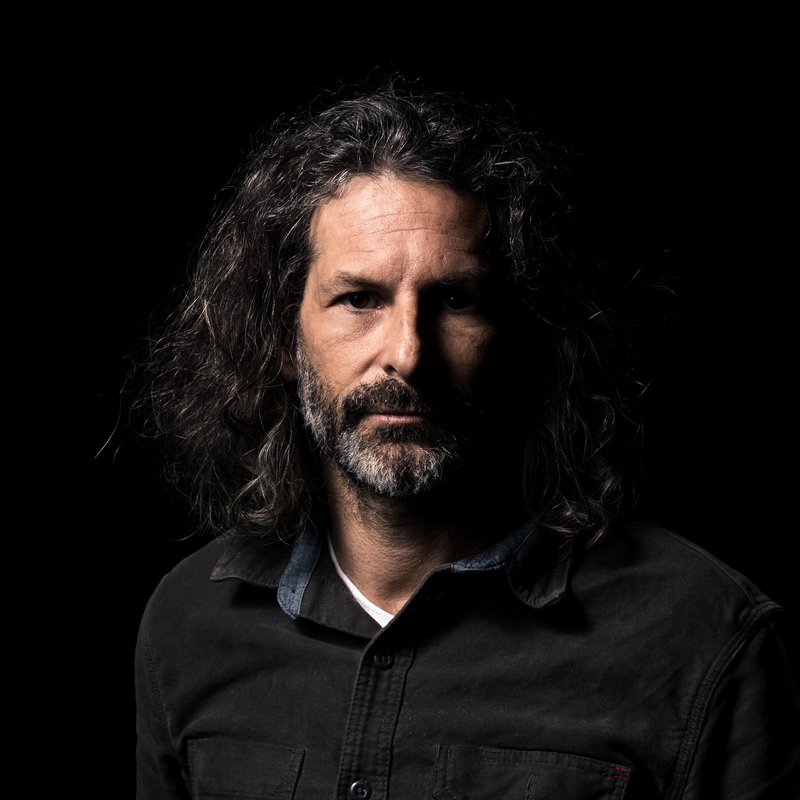 On a daily basis Klaus oversees the quality development and training programme for their baristas and also sources their award-winning Kenyan coffees. 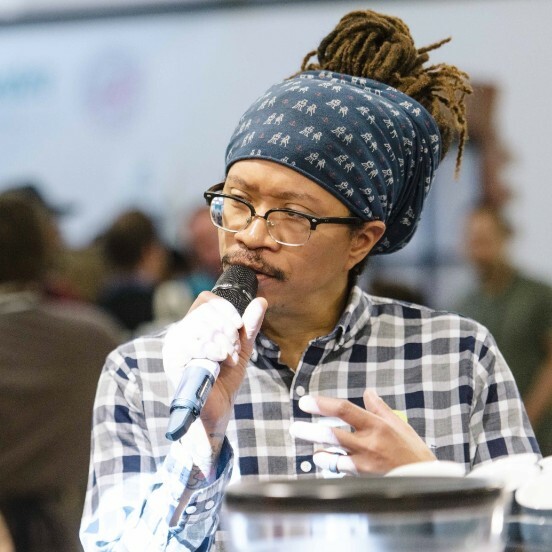 The 2016 USBC Champion and co-owner of Back Alley and Black & White Coffee Roasters Lem Butler is joining the impressive line-up of MCs for the sixth time. A leading American barista in his own right, he’s won the Southeast Regional Barista Competition no fewer than five times. 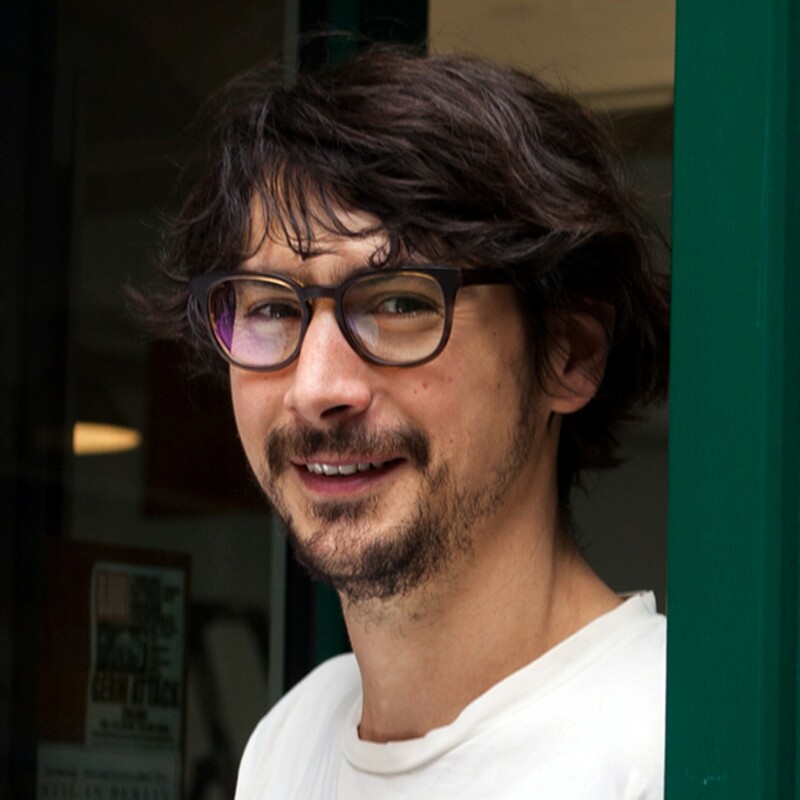 2009 World Barista Champion and founder of East London’s Prufrock Coffee, Gwilym, is famed for making coffee in 36 different countries. He’s now settled in Prague where he owns and runs a Barista Training Centre. Erika Vonie is a veteran of the specialty coffee industry and the 2017 Coffee Master – New York. Recently appointed Director of Coffee at Trade, her near decade-long experience will come in handy as MC.